Obesity figures among Costa Rica’s population increased almost four times in the last 39 years, from 6.3 percent in 1975 to 23.7 percent in 2014. These results are part of a report prepared by the Universidad Hispanoamericana and published this week in the university’s health magazine. Researchers Ronald Evans and Jose Pérez based their evaluation on a study of the worldwide evolution of the Body Mass Index (BMI) conducted by the Imperial College London’s School of Public Health. The BMI is a parameter for insufficient, normal and excessive human weight ranges. The researchers reviewed data for Costa Rica over 39-year period and also found that the population with normal weight fell from 50.7 percent in 1975 to 34.4 percent in 2014. 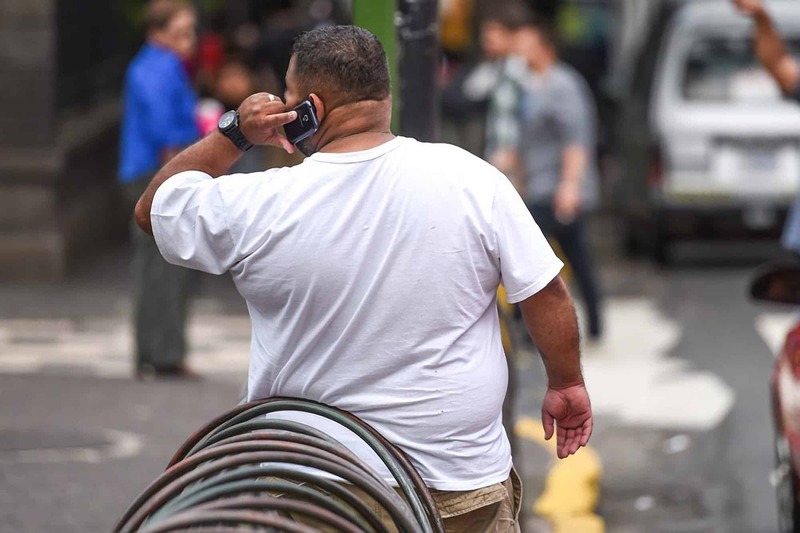 Evans, an epidemiologist, said in the report that results should alert health officials and the general population to the rapid increase in the percentage of overweight and obese Costa Ricans. Excess weight is a risk factor for a number of chronic diseases ranging from diabetes and hypertension to heart disease, among others. The percentage of overweight Ticos went from 24.9 percent to 36.1 percent. The percentage of people with morbid obesity rose from 0.2 to 2.3 percent of the population, an increase of 1,000 percent. People with morbid obesity are 14 times more likely to have a heart attack and 12 times more likely to die before age 70 than those with a normal weight, researchers noted. Data from the Social Security System, or Caja, showed in 2015 that the care of obese patients with cost the agency an average of ₡5 million (some $9,500) per patient per year. On Tuesday, Caja officials presented an informational campaign seeking to change Ticos’ eating habits in order to prevent weight problems. Caja President María del Rocío Saenz said at a press conference that the campaign responds to high figures of patients with chronic disease, and to a spike in the number of overweight and obese people in Costa Rica. 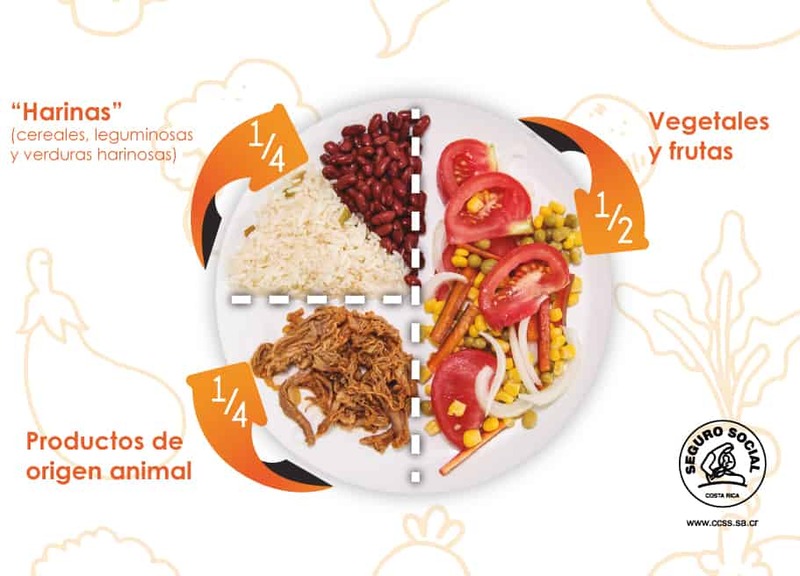 The campaign’s messages, being distributed in mass media and social networks, recommend dividing a meal in a balanced way. “Half of the plate should have fruit, vegetables or salads. A quarter should have grains (cereals, legumes) and the remaining quarter should have a protein,” the campaign states. The campaign also recommends drinking water instead of sodas or sugar-sweetened beverages with every meal. As part of the campaign, the Caja is publishing digital books with recipes. This week the agency posted a book with recommendations for salads and dressings. You can read or download the book at: www.ccss.sa.cr/recetario (in Spanish only). The agency also is posting recipes on its social media profiles along with video explainers to show the preparation. The Caja is asking people to post their own healthy recipes following the recommended proportions. The agency will record the best two recipes and the videos will be posted as part of the campaign.